The Arkansas House and Senate Education Committees met jointly this week to discuss a range of topics, including broadband access, best practices in charter schools, teacher salaries, education funding, the new dyslexia law, and the state of health care workers in schools. Julie Johnson, Technology Coordinator for Cave City School District, presented the benefits and challenges of obtaining and using increased bandwidth as a small rural school. The Cave City School District has 1275 students, 72% of whom qualify for free or reduced price lunch. 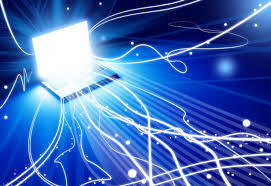 Johnson described their efforts to obtain broadband access that began in 2002, and the obstacles they faced at every turn with their local provider or their out-of-state executives. Though the schools now have the bandwidth they need, the school district still struggles to maximize efficiency. Johnson also highlighted the benefits of faster Internet access and new devices, saying “it has opened up a whole new world for our kids.” Now all the K-2 students have iPads and “no longer have to fight over one book in the library. Students are more interested, and teachers can monitor progress more easily. Johnson said most of the students’ families do not have Internet at home, and the school has been creative in how to allow time for homework during and after school. Arkansas is committed to providing high-speed internet access to every child in every classroom, but determining how to reach the goal and how much it will cost is complicated. Dr. Scott Price of Picus Odden & Associates presented to the committees a consolidated version of several reports on schools’ current internet capacity and expenditures, along with an overview of the information that will be available before the next legislative session in January 2015. This pending, in-depth study will examine schools’ capacity and local availability and the costs of bringing schools up to standards, including one-time and ongoing costs. The legislature requested an examination of best practices of public charter schools, both in Arkansas and across the nation, that may help to improve all public schools, and the joint committees approved a proposal by OEP’s Dr. Gary Ritter to conduct the study. OEP researchers will document best practices in existing literature for the forty states that have public charter schools. Specific to Arkansas, OEP will determine where charter schools are located and whom they serve, their unique characteristics, how they seek to involve parents, and the effectiveness of charter schools as measured by academic achievement. The study will be completed by January 2015. Noting that the statutory minimum for teacher salaries has not changed since the 2008-09 school year, the education committees requested in their June meeting that the Bureau of Legislative Research (BLR) provide more information about the cost of increasing the minimum salary. This week, BLR administrator Nell Smith presented several approaches to how increases could be calculated and distributed, with costs ranging from $2.7 to $6.9 million. The cost depends on a number of factors, including whether the payment would be one-time or ongoing, the amount of the salary increase, and whether the funding would be restricted to teacher salaries. How can states be reasonably sure they are allocating funds among school districts adequately and equitably to improve student performance? Since 2004, the Arkansas legislature has worked with the national consulting firm of Picus Odden & Associates to apply the best research-based evidence to allocating school funding. In Tuesday’s meeting, the firm reported the most recent evidence and compared those recommendations to Arkansas funding levels, information that legislators will use to prepare for the upcoming session. A principal, a grandmother, and a child struggling to learn prompted the Flippin school district to decide “there is no point in waiting another year” to comply with legislation requiring screening and intervention for dyslexia. School representatives described for legislators their experience in training all K-12 teachers to recognize the warning signs of dyslexia, screening the identified students, and restructuring intervention time in adopting the Susan Barton approach. Since implementing the changes, Flippin students are showing documented growth on assessments, teachers are noting students’ new attitudes about school, and counselors are observing social and emotional improvements in students receiving the intervention. 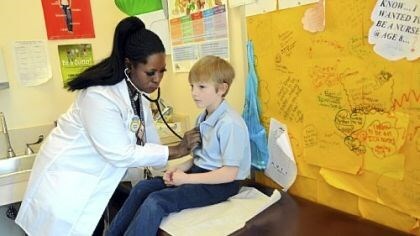 School nurses treat students who have one or more of 37 chronic conditions, require one or more of 25 medical procedures daily, need medication at school, and sustain injuries or contract illnesses that require EMS or physician care immediately…all in addition to the routine screenings for hearing, vision, scoliosis, and body mass. Representatives of the 19-member Public School Health Services Committee reported these and other findings of a study requested by the legislature to determine the adequacy of health care staffing to meet the needs of public school students. In offering 12 recommendations for staffing and education levels, facilities, and reporting mandates, the committee expressed particular concern about the current law that makes health care staffing requirements dependent upon availability of state funds.